Simulation is used to understand how robotics applications will act in complex or changing environments, so you don’t have to invest in expensive hardware and set up of physical testing environments. 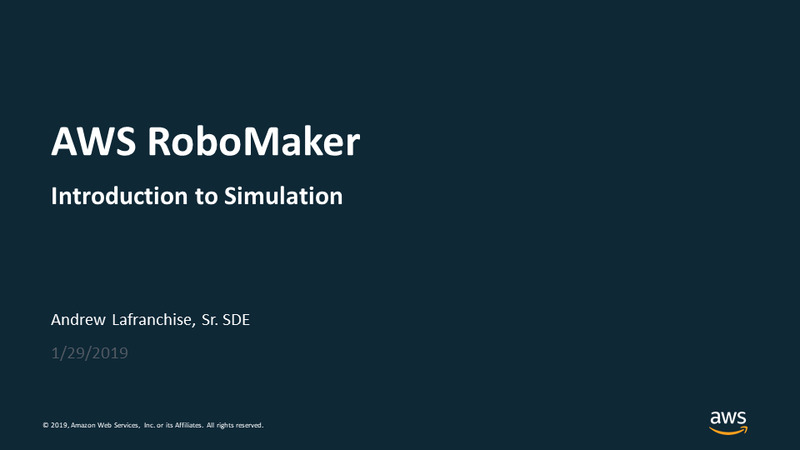 AWS RoboMaker provides a fully managed robotics simulation service that supports large scale and parallel simulations. In this tech talk, we'll dive into this and other open source tools for robotics like Gazebo, RViz, RQT, and ROS. We'll cover and demonstrate AWS RoboMaker's features, like different types of simulation modes, pre-integrated tools, pre-built simulation worlds, and monitoring and logging. You'll learn how to start up your own simulation in a few clicks.